Chopper7HD captured the scene after a Metra train hit a pedestrian near the Midlothian stop in the south suburbs on Nov. 6, 2017. 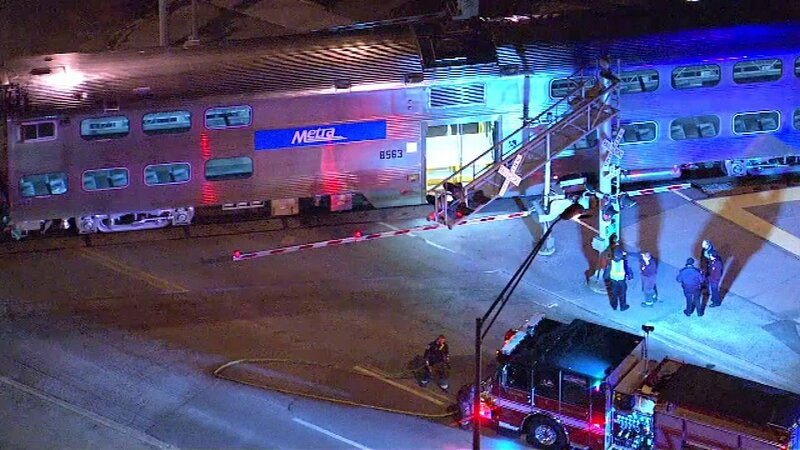 A pedestrian was struck by a Metra train Monday night near the Midlothian stop in the south suburbs, and later died. The victim, a woman, was struck at approximately 5:46 p.m. and taken to Advocate Christ Medical Center. She died just before 7:30 p.m., according to Metra spokeswoman Meg Reille. The woman was struck at the 147th Street crossing by the Rock Island District train which was stopping at the Midlothian stop. It is unclear if the incident was an accident or suicide, Reille said. Inbound trains started moving again with extensive delays shortly after 8 p.m.. Shortly before 7 p.m., Metra reported that outbound trains were cleared to move with a 55-minute delay.